After the disappointment of seeing UMC denominational leaders fail to faithfully represent our denomination while being inaccurately reported in the press as speaking for the entire denomination on the recent Boy Scouts controversy, I decided to send the Boy Scouts of America (BSA) a message on behalf of IRD’s UMAction program. In doing so, I set the record straight about United Methodist stands that relevant statements from United Methodist denominational officials inexcusably ignored. The text of the statement sent to BSA is below. As the leader of an unofficial but recognized caucus group of evangelical United Methodists (the United Methodist Action program of the Institute on Religion and Democracy), I respectfully urge you to NOT dilute your membership and leadership standards. 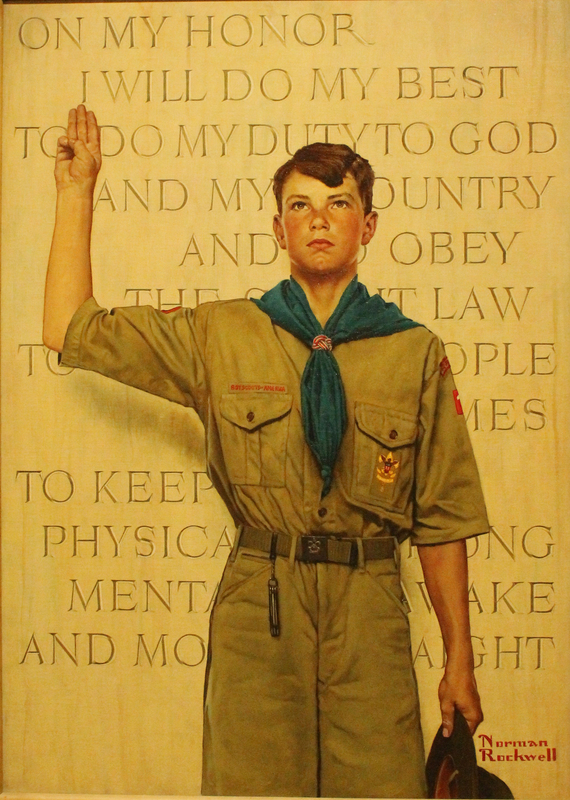 My hope and prayer is that the Boy Scouts of America will continue to provide positive, morally responsible male role models for boys across America. I realize that you have recently heard from several prominent United Methodists. However, it is important to understand that our governance clearly spells out that the ONLY body that can officially speak for our 12-million-member church is the General Conference. One key fact I have not seen acknowledged is that the most recent General Conference, which met in spring 2012, has already weighed in on this issue by deciding, rather overwhelmingly, to reject a petition that would have put our denomination on record as supporting a liberalizing of the BSA’s membership standards. Furthermore, while our church is certainly committed to compassionate treatment of all people, including those who identify as gay, lesbian, and/or transgendered, our well-established teaching is rather clear: “sexual relations are affirmed only with the covenant of monogamous, heterosexual marriage” and we consider homosexual practice “incompatible with Christian teaching” (United Methodist Book of Discipline, 2012 edition, Paragraph 161F), while “[w]e support laws in civil society that define marriage as the union of one man and one woman” (Para. 161B). We also have numerous, binding denominational policies requiring our clergy and denominational leaders to operate within the boundaries of these values. Another major concern for United Methodists is that if the BSA simply leaves it up to each local pack sponsor to determine membership standards on its own, this will amount to an incredible lack of leadership on the part of national BSA leaders and will effectively subject United Methodist congregations around the country to painful, emotional internal divisions and harsh external pressure. When these congregations have done so much to support the scouting units they sponsor, this hardly seems like an appropriate way to thank them. In the long run, it is likely that such a “local option” will prove to be simply an unsustainable, politically driven, short-term stepping stone to the implementation of a more uniform liberalization. Finally, as a former cub scout and former long-time subscriber to Boys’ Life magazine, it is not hard to see all kinds of ways in which opening the doors for openly gay scoutmasters will massively expand the potential for situations that could put young boys in danger. To be clear, I of course do not at all believe that all gay men are predators. But that is no reason to ignore the same basic realities that have led the Girl Scouts to not have straight men taking preteen girls on camping trips. The decision before the BSA is whether or not you will choose to prioritize boys’ safety above all else, even over political correctness. I realize that the BSA has long been under tremendous pressure from advocates of liberalizing your standards. But please know that a great many of us, within and beyond the UMC, believe in the BSA’s important work, have been proud to defend you in the past, and stand eager and ready to do what you may need us to do to defend the Boy Scouts as you maintain your current moral standards.